Alaska Airlines has launched a nice flight bonus offer for travel this summer on their global partner airlines. 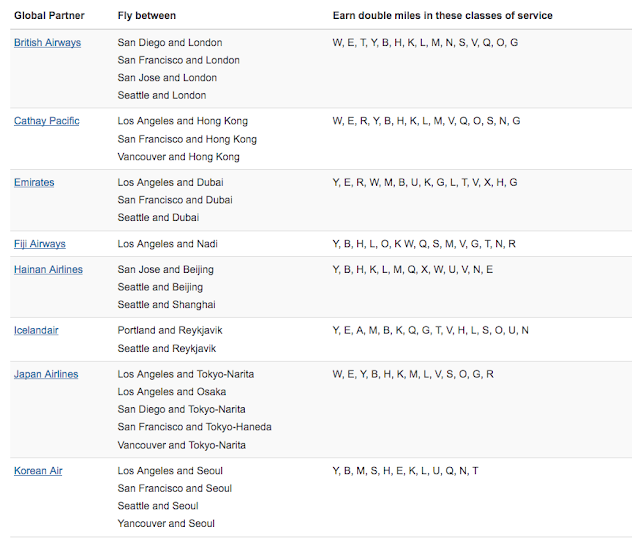 These are all long haul flights which means your doubling lots of miles to begin with as long as you buy a ticket in an eligible class of service. We list all the eligible routes below which include three routes out of Vancouver to Hong Kong on Cathay Pacific, Seoul on Korean Air and Tokyo on JAL.